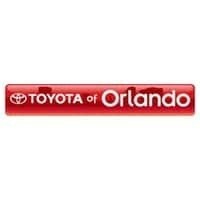 When the Orlando Toyota Tacoma comes to mind, the first characteristic you likely think of isn’t safety. Performance, definitely. This truck is renowned globally for its versatile and powerful performance, perfect for getting off the pavement. You may also think of style, as it has a unique and sporty appearance woven into its design both inside and outside. However, safety probably is at the bottom of the list of qualities that spring to mind when you think of the Toyota Tacoma. This truck was in a traumatic accident with a semi-truck – for most vehicles, that would mean a complete and total loss of the vehicle and likely, devastating injuries to its occupants. But when you look at this picture, you can see that while the front and back ends of the truck were completely crushed by the semi and the force of the impact, the cab is intact. And so were its passengers. It seems impossible, but the picture doesn’t lie, and neither does the EMT who submitted it. Toyota Safety Sense P. This is a special and unique set of safety technologies that Toyota developed including the Pre-Collision System with Pedestrian Detection, Lane Departure Alert, Dynamic Radar Cruise Control, and Automatic High Beams. Not to mention, an engine immobilizer to help prevent theft. And the best news yet? All of this safety can be at your fingertips for an affordable price. The 2018 Toyota Tacoma has a starting MSRP of just $25,400 so it’s an affordable option for all. And you’ll have tons of trim-levels, cab sizes, engine sizes, bed sizes, packages, accessories, and more to choose from. It’s simple to make it customized to your drive time needs!